Castile Soaps, made with 25% olive oil + Rosehip oil. 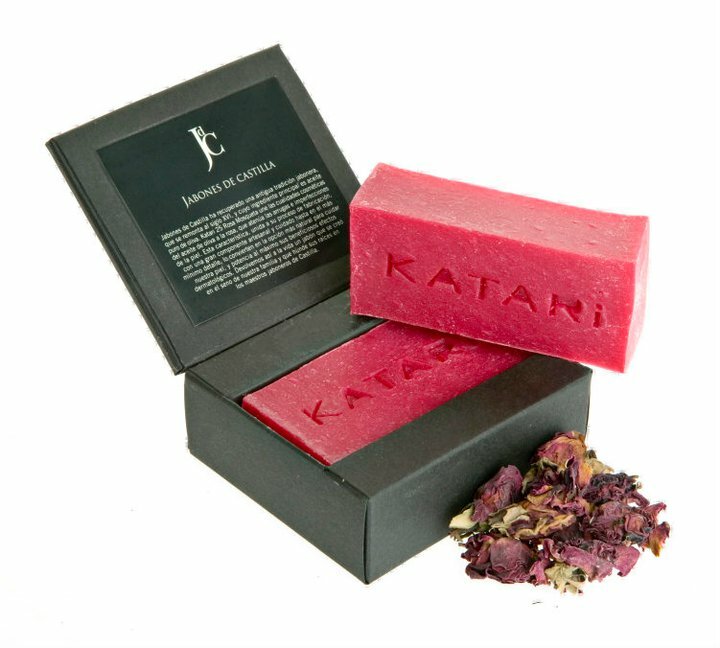 It is a perfect soap for dry skin as it provides the skin with the nutrition needed to maintain its elasticity. A delicate artisan technique of making Katari maximizes the active principles present in olive oil, and which are so beneficial for the skin. Its great amount (25%) of essential grease acids restore the skins natural humidity level, takes it back to its natural equilibrium and strengthens the hydro-lipid film that recovers it. The action of oleic acid reconstructs the cellular membranes of the dermis, giving the skin a firm, healthy and tonified appearance.